Drake is a GRAMMY winning recording artist who hails from Canada. He was born Aubrey “Drake” Graham on October 24, 1986 in Toronto to Sandi and Dennis Graham. He was raised in Canada by his Jewish mother, but would visit his father in Memphis. Drake inherited the musical gene from his dad, who was a drummer for Jerry Lee Lewis, and his uncle, Larry Graham, who played bass for Prince. 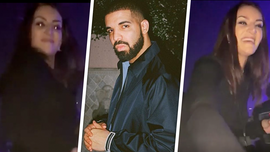 Some of Drake’s most popular songs include “Hotline Bling,” “Started From the Bottom,” and “One Dance.” He got his big break on screen as the star of the series “Degrassi: The Next Generation” from 2001-2009. 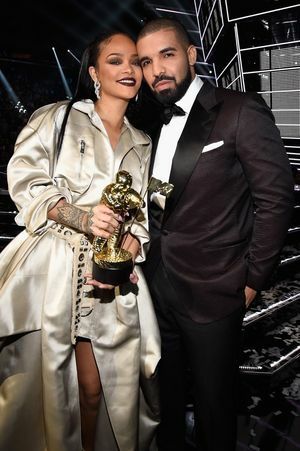 Drake was plastered in the tabloids during his on-off romance with Rihanna and was rumored to have been dating Jennifer Lopez for a short period. In a separate business venture, he collaborated with Brent Hocking on an alcohol brand called Virginia Black Whiskey. IG Vid with Drizzy Look-Alike ... Clout-Standing Move!!! Papa DOES Preach ... Can't Stop Bragging About Baby Boy!!! You Had Greatest Comeback ... Now Let's Get Money!!! Hey, Best Friend ... Let's Go Bowl and Vape!!! 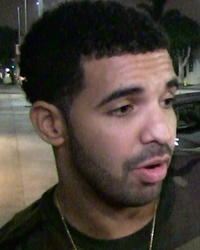 Universal Music Group Sued ... You Shut Down Our Drizzy Doc!!! 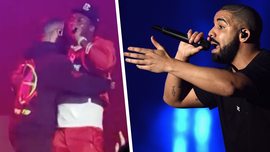 Meek & Drake Hit The Stage Together, Again!